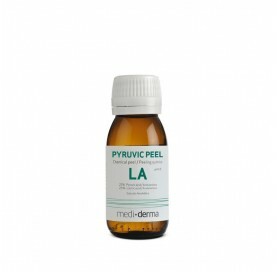 Medium depth wrinkles, inflammatory / non-inflammatory acne, and acne scars. Sensitive skins, dark skins (phototypes IV to VI). 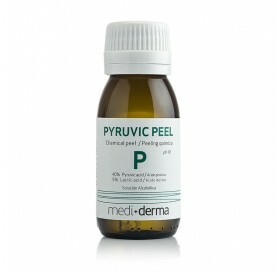 Preparatory or initiation peel for subsequent treatments with Higher concentrations of pyruvic acid. Deep wrinkles, flaccidity, acné scars, and stretch marks.